This week we have had the opportunity to demonstrate the capabilities of ebooks to the classes. Here are a few notes to refresh your memory or if you missed the class. 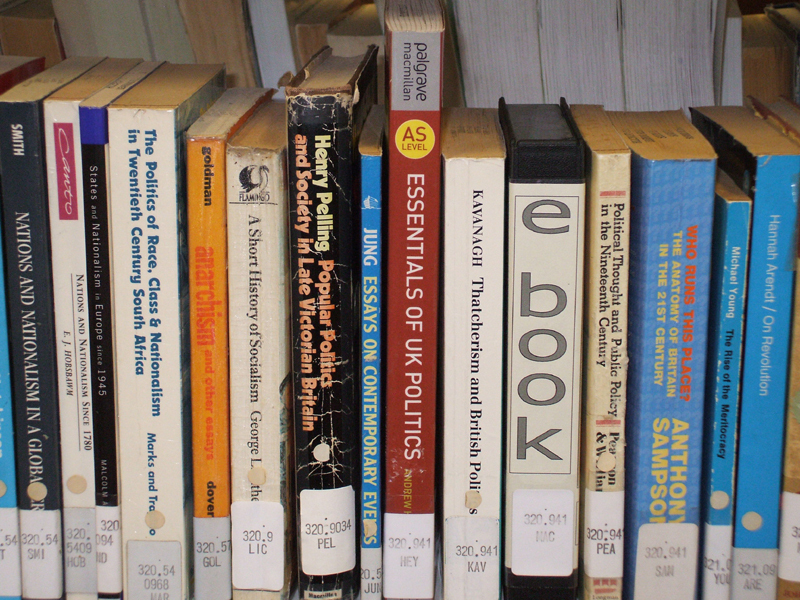 You can access ebooks inside and outside the college through the VLE: learn.hillcroft.ac.uk. 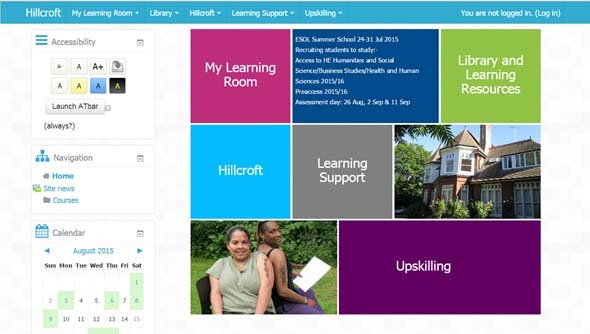 Log in then enrol on the LRC eresources page and go to the Eresources book. We have two ebook providers with different sets of ebooks: Dawsonera and ebrary. Follow the links on the page to their websites. You can do this on any electronic device with a internet browser (tablet, smartphone, Kindle Fire). If you are outside college then it will prompt you to log in via ‘Shibboleth’ and then find the college in the list and type in your Hillcroft email and password. What can I do on Dawsonera? Download in full (pdf) – most will allow you to do this for a loan period (1-7 days). Copy or print text/pages – Be selective! 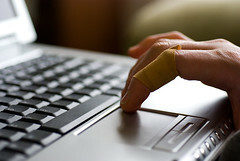 You can print between 5-20% of an ebook or copy quotations to paste directly into your assignment. Add notes to pages online – You can export notes and print them all out with the relevant page numbers automatically added. What can I do on ebrary? Download chapters or in full (pdf) for a loan period – with printing and copying enabled. Copy or print text/pages (with citations). Highlight, add notes and bookmark (together called ‘Annotations’) online. Saves them for you on ‘Bookshelf’ when you log back in to Ebrary. You only need Adobe Reader (free) as an app to read the downloaded ebook offline. In college you can use Read&Write Gold for its text-to-speech feature. The free app version is called ‘Natural Reader‘ if you want to use the read aloud feature on your own phones and computers. We will be putting together a detailed guide for you in the near future. Also the good news is that we will be able to change it so that no purple padlocks will be seen on the Dawsonera site, so you will be able to access and browse our content better. Keep an eagle eye out for more tips by subscribing to our blog. We’re delighted we’ve had a successful upgrade to Moodle 2.9 for our Virtual Learning Environment and we’ve integrated it with Office 365 for Business over the summer. Our LRC Manager has already given it a whirl and it’s really easy to attach your OneDrive for Business files if you’re creating a course or if you are a learner uploading an assignment document. Another added benefit is if you directly link your file as a shortcut to OneDrive you eliminate the file downloading which clutters up your network drive! We’ve also got Single Sign On for Moodle and Office 365 working with Shibboleth. This means the number of passwords are reduced for our students and so it’s easier to login at college and off site. Our LRC Manager has migrated all of our ebooks on Dawsonera and our eresources to Shibboleth. Now more than 160 ebooks on on the library Heritage catalogue have direct links to Dawsonera on them. 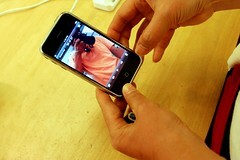 Here’s an example of what it looks like. So if a student searches the catalogue they are merely one click away from the ebook. Again this has reduced the number of different usernames and passwords for accessing eresources for accounts which the LRC needed to create as each set of course students got access to ebooks. This week the Learning Resources team have been continuing the induction programme for our Access to Higher Education and Preaccess students. 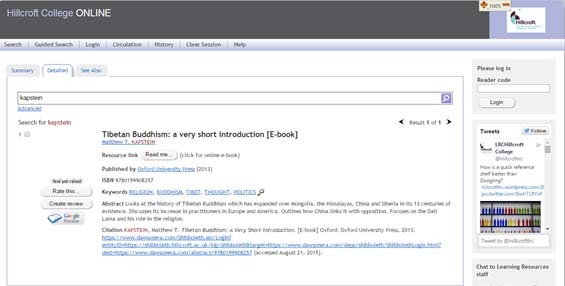 We’ve been demonstrating the joys of using ebooks and how to do Harvard referencing. As a student it’s often easy to make notes on what you’re reading then be unable to unscramble your handwriting later when it comes to writing your essay, putting in your references and creating a bibliography. Ebooks on Dawsonera make it an easy job by allowing you to create notes and save them on individual ebooks as you read them. And they don’t disappear unless you delete them. Find out why ebooks are just the ticket on our GoAnimate video Don’t Scuff the Books Use Ebooks animation. You’ll find out you can make your librarian’s day! One of our ebooks suppliers Dawsonera has launched a new app for the iPhone and Android. This is good news for our Access to Higher Education, Pre-Access, Women into Management (WiM), Start Your Own Enterprise and Preparing to Teach in the Lifelong Learning Sector (PTLLS) students. This means that ebooks are even more mobile and our students can read them easily off site and when they are travelling. We know from sifting through our student feedback forms that students have been using ebooks on their laptops on the train so this app launch will make it even easier for them. Follow the Dawsonera guide to Downloading ebooks to an Android Device or Downloading ebooks onto an Apple iOS Device. Find out how great ebooks are by watching our new Don’t Scruff the Books Use Ebooks animation on GoAnimate. Lots of our students at Hillcroft are dyslexic so our read out loud tools are invaluable for them when using ebooks. Not only that but if auditory is your learning style then using a tool to read the book out loud to you helps cement the information into your memory. Find out more about learning styles on Learning Styles Online Overview of Learning Styles page. with Dawsonera ebooks we’ve also shown them how to use Read&Write Gold to read the ebook out loud on site. This went down extremely well with our students. So much so that they were quick to ask us how they can do this when they’re not resident at Hillcroft! For the answer we turned to one of our Lead Tutors for Learning Support who suggested they try Natural Reader which can handle the ebooks.